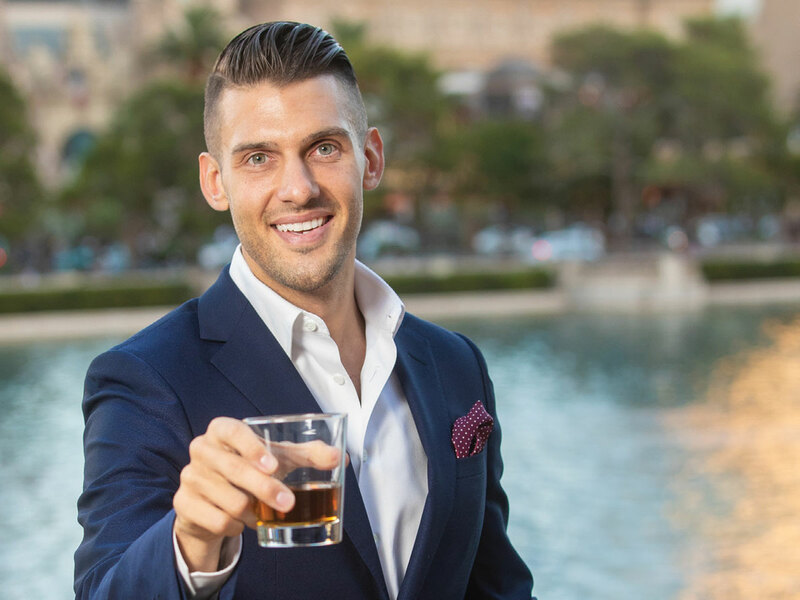 It could be his killer smile, his boy-next-door good looks or the premium whiskey in the Stölzle glass bottle, but all of Las Vegas seems to want to drink what Jeff Tomastik is pouring. Tomastik, who is president of the company alongside business partners Sami Omar and Carlo Piccirillo, is no stranger to entrepreneurship. In 2016 he launched popular sushi burrito spot Tail & Fin, which has locations inside T-Mobile Arena as well as the westside. And he has used his deep roots in the community both through nightlife and food and beverage to get Ambros noticed everywhere. In just a few short months, Ambros has stormed the market popping up on menus at Las Vegas’ chicest hot spots such as Omnia and Searsucker in Caesars Palace, Apex and Scotch 80 in Palms, Encore Beach Club and XS, Yellowtail in Bellagio and Topgolf Las Vegas, to name a few. For 2019, he has his sights set on California, Colorado, Arizona, Texas, Illinois and New York.